What about ‘product X’ – the advert and specs say it can receive terrestrial HD? 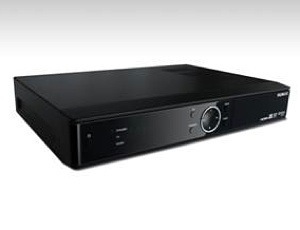 There are some set-top boxes, tuners for PCs and even a few TVs which claim in their specs to receive terrestrial HD. At the time of writing, none of those is compatible with the system that will be used in the UK, though they should work with terrestrial HD broadcasts in France and a few other countries. If an advert says a product works with freeview HD, the most charitable interpretation is that they mean 'free-to-view HD terrestrial broadcasts in countries using DVB-T'. When will Freeview HD products be available? There may be very limited supplies around the end of this year, but we expect that most of the main manufacturers will unveil their 2010 product ranges early in the new year, and will include models compatible with Freeview HD then, including integrated TVs, set-top boxes and DVRs. What technologies are being used for HD in the UK? 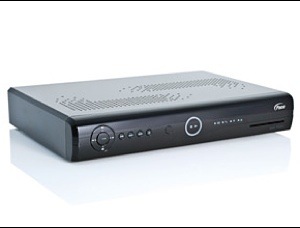 Two technologies are being introduced to terrestrial broadcasting for Freeview HD. The first is the H.264 - aka AVC, or MPEG 4 part 10 - video codec. This can be used for both HD and SD pictures, and is much more efficient than the MPEG 2 codec used by Freeview at the moment. H.264 is already used for satellite HD services, and for terrestrial HD in other countries. The second technology is called DVB-T2, which is a brand new transmission method which the UK will be the first country to deploy. It’s this that means that current equipment will not be able to tune into the Freeview HD service, as all current terrestrial products use DVB-T, rather than DVB-T2. Why are we the only people using DVB-T2? We’re the first, but other countries are planning to roll it out too. The NorDig group, which sets specs for the Nordic countries, has drawn up a common receiver specification based on DVB-T2. Tests are underway in Sweden, and the construction of a Finnish HD DVB-T2 network is due to start this year. Serbia and Slovakia are both also planning DVB-T2 services. Can an existing receiver be upgraded? No. DVB-T2 isn’t a question of firmware. It requires compliant tuner modules which receive the broadcasts and feed the transport stream data to the rest of the system. It’s much more complex than DVB-T, and as the tuners use dedicated silicon, they can’t be upgraded. A DVB-T tuner won’t make any sense of a DVB-T2 signal, no matter what software the rest of the system has. The H.264 codec requires new hardware too, in most cases other than general purpose PCs. Set-top boxes rely on custom decoding hardware to do the hard work at a reasonable price, and most current ones just understand MPEG 2 at standard definition.